I'm so excited about this! 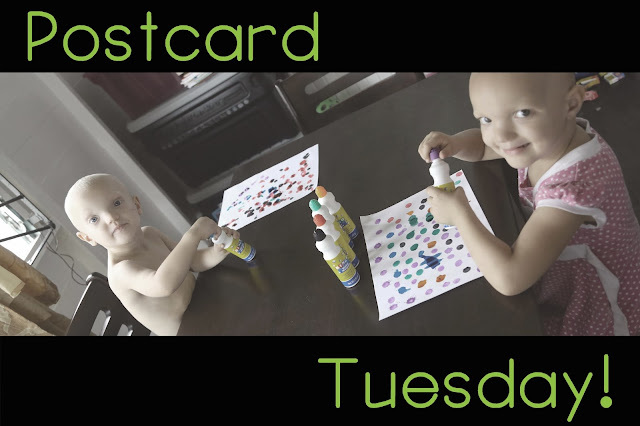 It's Postcard Tuesday! Recipients will be chosen at random. This is the perfect match for anyone who loves getting mail - I love to send mail! What are three things you would never leave behind when packing for a trip? I can't wait to hear the answers! sunscreen, Bible, toothbrush. The kids look adorable!